February 23, 2019. 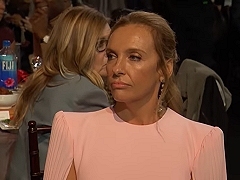 Toni Collette was nominated at the 34th Annual Independent Spirit Awards as Best Female Lead for "Hereditary". January 13, 2019. 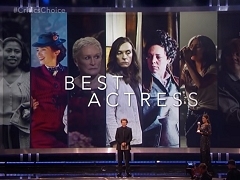 Toni Collette was nominated as Best Actress for "Hereditary", alongside Yalitza Aparicio, Emily Blunt, Glenn Close, Olivia Colman, Lady Gaga and Melissa McCarthy. November 27, 2018. Toni Collette won the Best Actress award for her performance in "Hereditary". 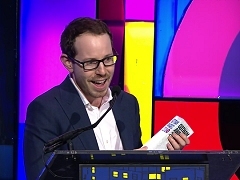 Director Ari Aster accepted her award. January 17, 2011. Toni Collette was nominated as Best Actress in a Musical or Comedy for "United States of Tara". She didn't attend the ceremony. August 21, 2010. 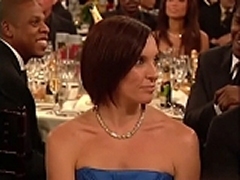 Toni Collette was nominated as Outstanding Lead Actress in a Comedy Series for "United States of Tara". January 23, 2003. Toni Collette was nominated for Performance by a Female Actor in a Comedy Series for "United States of Tara". January 17, 2010. Toni Collette wins Best Actress in a Comedy Series for "United States of Tara". 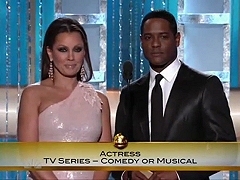 She was nominated alongside Courteney Cox, Edie Falco, Tina Fey and Lea Michele. September 12, 2009. Toni Collette wins Best Actress in a Comedy Series for "United States of Tara". She was nominated alongside Christina Applegate, Tina Fey, Julia Louis-Dreyfus, Mary-Louise Parker and Sarah Silverman. August 20, 2006. Toni Collette inducted singer Helen Reddy to the ARIA Music Awards Hall of Fame. November 12, 2003. 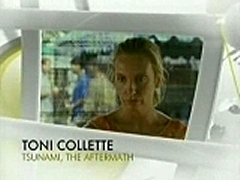 Toni Collette receives the Inside Film IF Award as Best Actress for "Japanese Story". February 24, 2002. Toni Collette presents the BAFTA for Best Supporting Actor to Jim Broadbent. June 04, 2000. Toni Collette was nominated as Best Performance by a Leading Actress in a Musical for "The Wild Party", alongside Heather Headley, Rebecca Luker, Marin Mazzie and Audra McDonald. March 26, 2000. Toni Collette was nominated as Best Supporting Actress for "The Sixth Sense", alongside Angelina Jolie, Catherine Keener, Samantha Morton and Chloe Sevigny. January 21, 1996. Toni Collette was nominated as Best Actress in a Musical or Comedy for "Muriel's Wedding", alongside Annette Bening, Sandra Bullock, Nicole Kidman and Vanessa Redgrave.